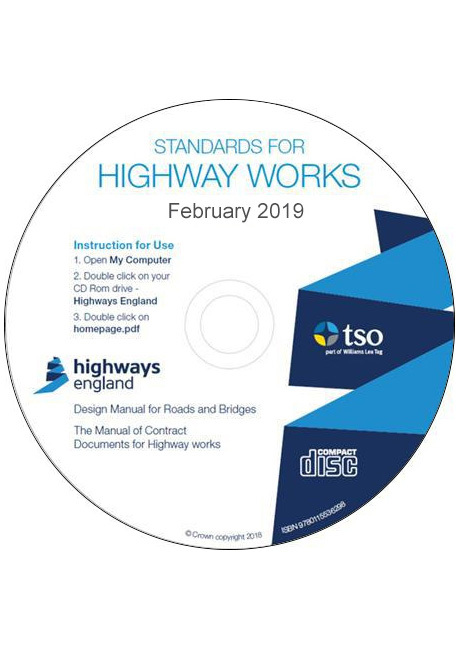 The Standards for Highways Works CD-ROM will keep you fully abreast of correct procurement and engineering practice within the framework of national and European legislation. This CD-ROM supersedes all previous issues. An essential reference tool for agents, authorities, consultants and organisations who are engaged in the design, assessment, maintenance and management of road and bridge design. From pavement design to traffic signs, from road schemes to scheduling repair work, this CD-ROM gives you all the comprehensive advice you need to ensure best practice. This CD-ROM supersedes all previous issues.